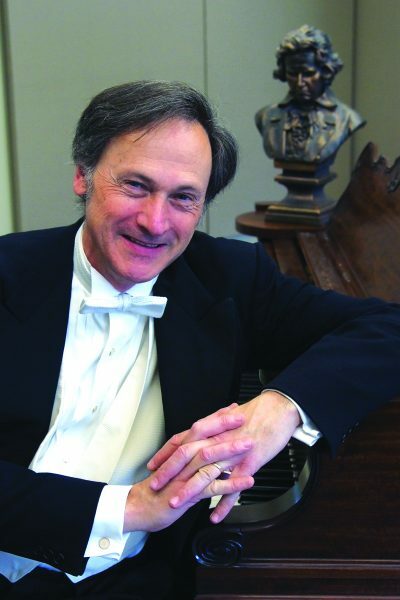 Tim Gaylard, professor of music at W&L, will present a faculty recital of the final Beethoven piano sonatas on Sunday, Sept. 17 at 3 p.m. in the Wilson Concert Hall. The recital is free and open to the public. Professor Gaylard spent his sabbatical this past winter term immersing himself in three sonatas, which include Op. 109,110, and 111. All three have iconic status and represent the climax and fruition of Beethoven’s lifelong obsession with the sonata as a genre. He read about them, analyzed them, listened to them on countless recordings and practiced them in preparation for this recital. A reception will follow in the atrium of Wilson Hall. For more information, call the Lenfest Center Box Office at 458-8000.